It’s time for golf lovers! The first golf tournament of the year is around the corner. Eighty-seven golfers across the globe will be contesting for the glory as the Masters showpiece kicks off on Thursday morning. Former champions Jordan Spieth, Bubba Watson and other first-timers will face off as they light up the competition this week. On MyBookie.ag, Rory Mcllroy has been chosen as the probable winner at +1200 with Dustin Johnson and Justin Rose followed at +1600 and +1800 in the same manner. Having been in the top ten around the world in the seven previous tournaments, Mcllroy will show up with his great form as the Masters kicks off. But Johnson who was recently overtaken by Rose according to the Official World Golf Ranking will also feature despite his present inconsistent form. MyBookie.ag provides you with more options and better statistical selections than any other online bookmarker to improve your know hoe and increase your winning chances. Tiger Woods being an underdog with a +105 odd will face John Rahm though a close eye on odd for the tournament’s champion shows Tiger and Rahm with+2000 and +2500 odd respectively. For this option, you may keep an eye on the player that you trust for a prodigious output. A huge price of +2000 for Tiger, probably because it being bet on by Tiger and his lovers. In another contest, Rickie Fowler will take on Brooks Koepka being the favorite at -130. Fowler’s great form in 2019 will surely attract my stake. But the opposite is the case for Koepka as his form is getting off the track in last three tournaments. Depending on your choice, up to eighty fixtures are available on MyBookie. Highest number of strokes on any hole: O/U 8.5 strokes. If Tiger Woods is your favorite golfer, MyBookie specially dedicated few appealing selections for you and your star golfer! Some of these selections which you can place your bet on include: His least score in a complete round, the total bogeys that he will get, his score at the end of first round, if he will birdie the first hole in round one and the possibility of finding water on number twelve. Another mouth-watering offer at MyBookie is Master-Money Back Special Promotion which guarantees you a 50% cash back should your game cut. Definitely, this unrivalled promo makes MyBookie stands out. 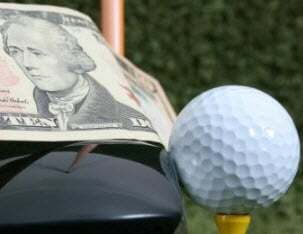 Stake with money on the “To Win” wager of the Masters from 8am ET of Monday, 8th of April to the kickoff at 8.30am ET of Thursday, 11th of April. This 50% cash back is guaranteed with a stake of up to $250 during this period. Having met the conditions, your account will be credited with the cash back on Saturday, 10 of April and will be available as free play. Your cash back fund can also be used for Live Betting on Saturday and Sunday in the final round of the tournament.